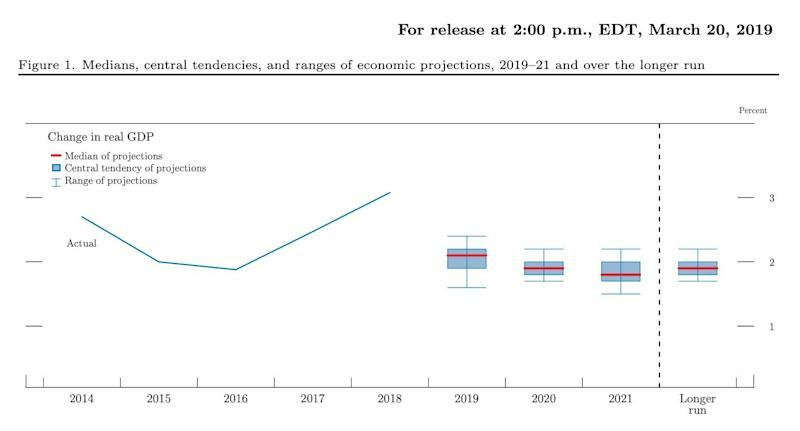 In an interview with Fox Business Network’s Maria Bartiromo to be aired Friday morning, Trump took issue with the central bank’s latest projections for slower growth in 2019 . “You’re right, the world is slowing but we’re not slowing, and frankly if we didn’t have somebody that would raise interest rates and do quantitative tightening, we would have been at over 4 [% growth] instead of a 3.1 [%],” Trump said on Mornings with Maria . Powell never directly responded to the president’s criticism, and said time after time that the Fed remains independent and is not swayed by policy preferences from the White House. At one point, rumors about Trump’s interest in removing Powell prompted the Fed Chair to publicly say that he would not resign from his post if asked to do so .